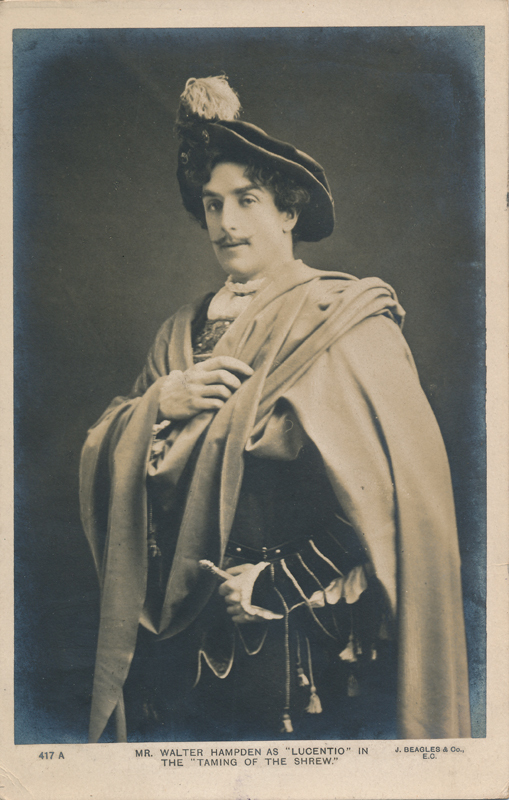 Walter Hampden Dougherty was born in New York City, but he began his stage career in England where he learned his craft as a player in Frank Benson‘s company. 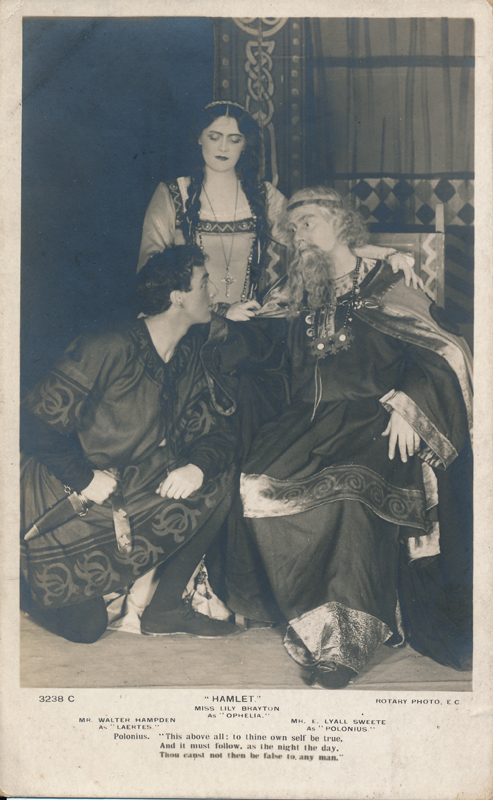 He returned to New York in 1907, where he became identified with a number of Shakespeare roles: Shylock, Hamlet, Othello, Oberon, Macbeth, and Romeo. 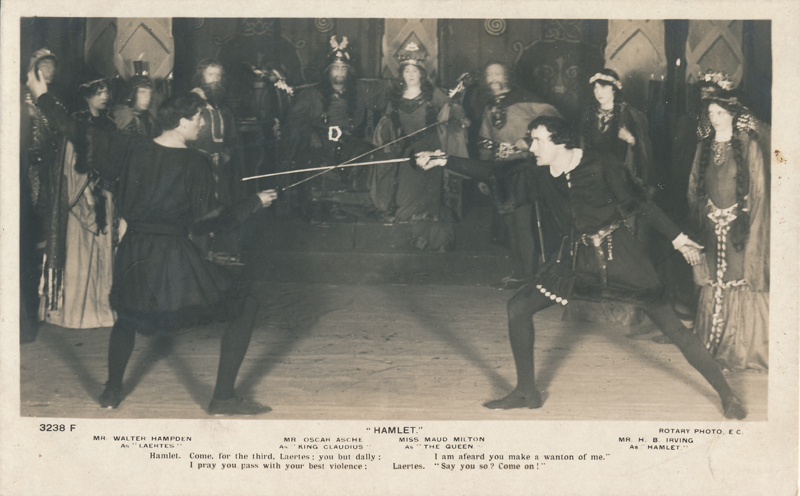 In 1925, he acquired the Colonial Theatre in New York and renamed it Hampden’s Theatre, and there he established a repertory theatre that included the plays of Shakespeare. As late as 1947, he was still acting, taking the role of Cardinal Wolsey in Henry VIII. He died in 1956 at the age of seventy-seven without ever seeming to retire formally from acting and producing. In fact, he played his last role in 1956, the year of his death, as King Louis XI in the film The Vagabond King. In addition to his full life in the theatre, he played in, all told, eighteen films between 1915 and 1956. 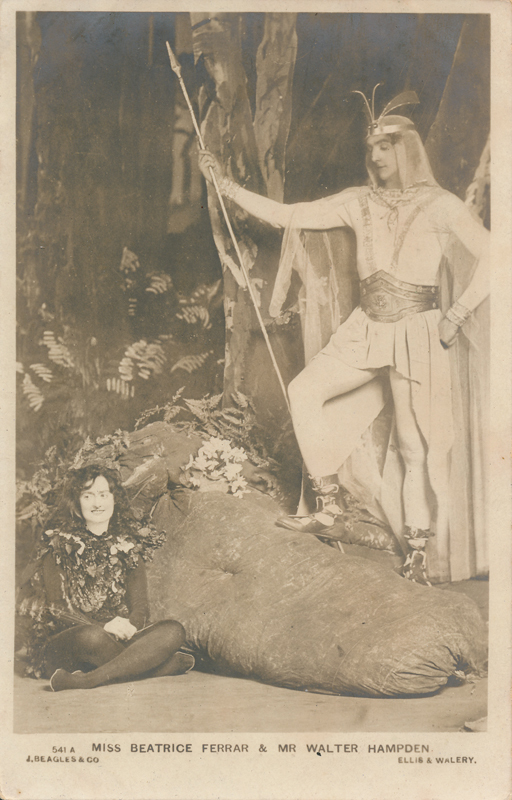 His last engagement with Shakespeare came in 1949 (he was sixty-nine) when he made his television debut as Macbeth.